M&J Chickens is a family owned business established in 1982 as a supplier of high quality specialised poultry products to the hospitality industry. The company's founders Mr Mina and Mrs Jenny Souris still have an active involvement in the overall direction of the company. Today M&J CHICKENS has grown into a modern, respected, multi-site, poultry based, value added and cooked product, national supplier. The success of M&J Chickens, is based on the commitment, expertise and skills of its proprietors, management and employee team. These qualities have seen the company grow from a small shop in Wiley Park NSW in 1982 to a state of the art facility in Marrickville, to what is today a multi-site national company with a commitment to superior quality food processing systems, and a program of continuous improvement. 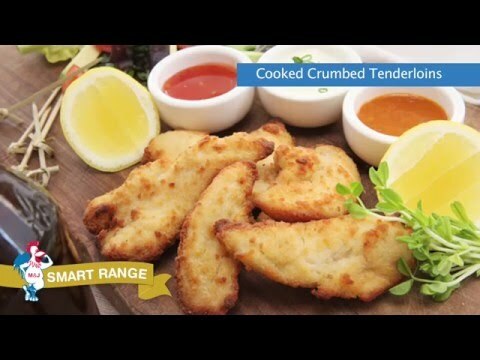 M&J CHICKENS now supply an extensive range of fresh poultry, cooked "ready to eat" value added products to a varied mix of hospitality, food service and consumer market segments across Australia. These are serviced by 6 locations Sydney, Brisbane, Townsville, Melbourne, Adelaide, and the latest operation in Perth. This is a reflection of the owners commitment and passion towards continuous growth and improvement. "Revolutionising the way you think about Chicken"
Our competitive advantage is the ability to supply QUALITY products and services consistently, as well as meeting and exceeding customer expectations. Our commitment to our Total Quality Management System ensures that our clients' needs are satisfied and our focus is to continuously improve and remain leaders in the market.